A biographical admixture is the estimate of ancestral geographical origin or ancestral ethnicity that is made when comparing the results of a DNA test kit with a reference group.The admixture’s accuracy is dependent upon the reference group and the algorithm used to determine the admixture. The genealogical reality is that in some areas and time periods, exact dates of events will never be known. The records were never created or have long since been destroyed. 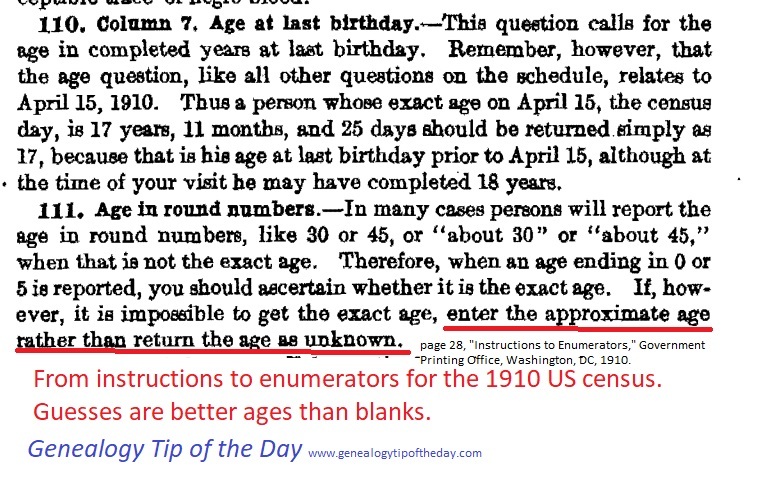 In this situations, there may be other records that suggest an approximate date of death or a “dead by date.” It’s often not the precise date of death that matters but the relationships between individuals that one can establish and the other bits of identifying information about people that can be sifted out of other records. Sometimes it is a wonder anything gets indexed correctly. Things are easier to read when you know what they are. When I “see” it the first name of the Civil War veteran listed on this coversheet to his pension file is easy to read. But if I were reading it cold. In this case, even the last name of Newman could be transcribed incorrectly. When you are using a “typed-up” index always keep in mind what the typer-upper might have been seeing. And if the typer-upper is a really “quicker typer upper,” the chance of an error is even greater. Check out the books on Michael’s genealogy shelf. 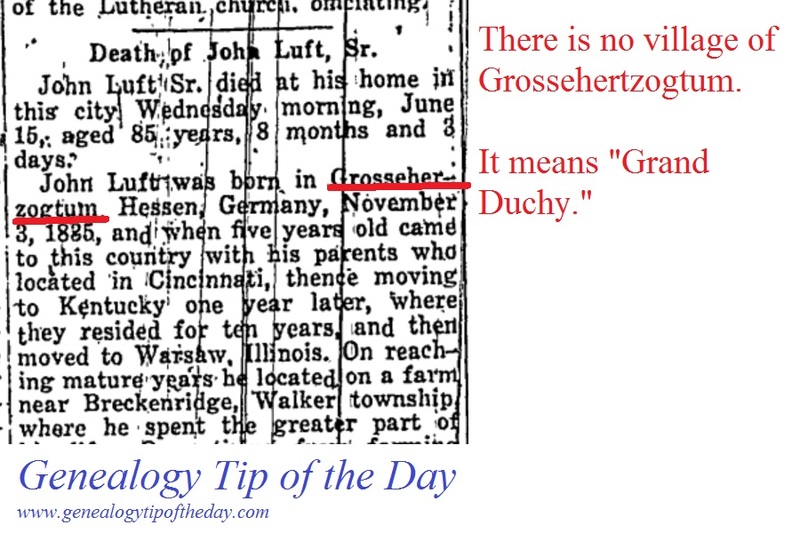 Ok, so it’s not just a genealogy tip. Our laptop is on the fritz and my daughter wanted to use the desktop. I was forced to read some homestead case files without the internet and email as a distraction. I noticed three things I had not noticed the first time I read through the papers. The first time I had read them while I was “waiting” on webpages or search results to load. Is multitasking your problem? Would you notice more details in a record or a file if it had your complete attention? 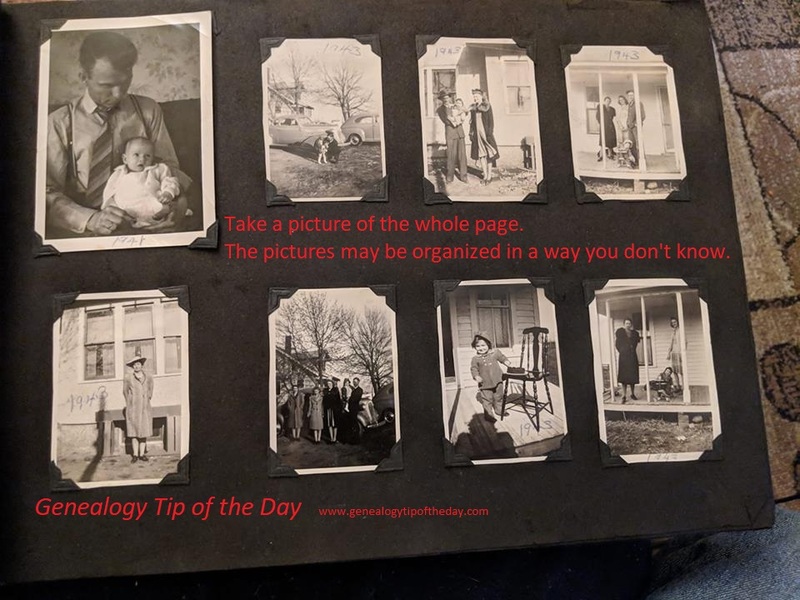 Before making images of individual photographs within an album, create images of the entire page. Sometimes there’s an organizational structure to the pages. Other times there is not. But it’s something that should be preserved because, like a picture, when it is gone…it’s gone. 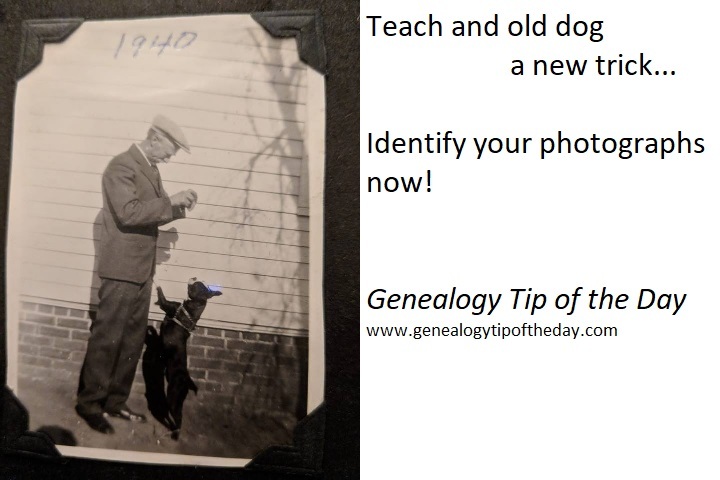 Here’s a reminder about identifying your old photographs. Definitions matter. 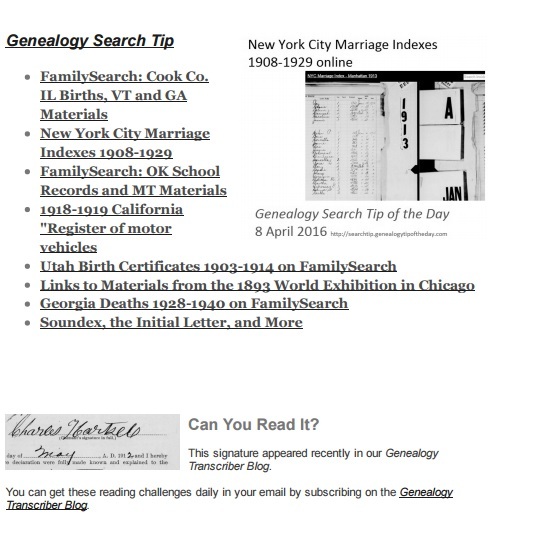 When interpreting a word in any genealogical document, particularly one where the word conveys a relationship, a property right, or some occupation or status, make certain that you know the contemporary meaning of that work. The definitions of words can change over time due to common usage and practice. What’s meant by a certain job title can change over time. The definitions of some legal words remain relatively constant, but occasionally then can vary as state statute or contemporary law changes. Meaning isn’t always set in stone.